September is here! Fall is just around the corner and so are cooler days, daylight savings, football season (well, that's already here! ), and crisp nights by the fire. Being in Texas, we have a pretty mild Fall/Winter but the summer is pretty brutal so I am completely ready! Transitions are important in our self care routines too. It's time to start thinking about how you will nourish your body during this part of the yearly cycle. Here are the details on a few of my current favorites in the transition department. A little TLC for your lips, body, and even your underarms. Some old favorites and some new finds! My morning routine has had a major refresh due to an influx of Axiology Lipsticks and this Lip Crayon (see my Instagram for real life color swatches). Every color is rich and velvety and I LOVE the crayons for a quick and easy way to cocoon my lips in buttery hydration and a watercolor finish. 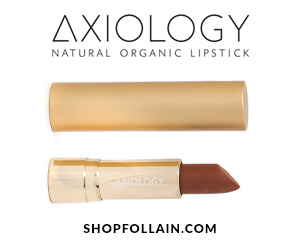 Axiology is also vegan, 100%natural, and cruelty free! ​Remember: Your lips do not have their own oil glands so it's especially important to use lip colors full of plant oils that nourish and protect. This Bliss Lip Crayon is the perfect peachy-pink to segue from Summer to Fall. My new favorite color! This little pocket-sized spray has been a lifesaver as I jet from school drop offs, to work, to the gas station, etc. Perfect when you need a anti-bacterial refresh but can't get to a sink for a thorough wash. The lavender essential oil in it leaves your skin smelling divine and I love that the active ingredient is organic ethanol which is safe for the skin and our ecosystem. Remember: Hand washing is best and only use sanitizers sparingly as needed. 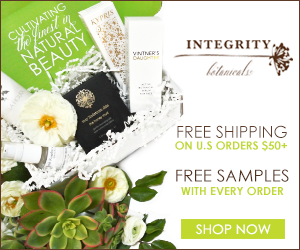 Here is another discovery from the Indie Beauty Expo in Dallas this year. This soft, natural deoderant reminds me of an island vacation with it's Coconut-Vanilla scent. 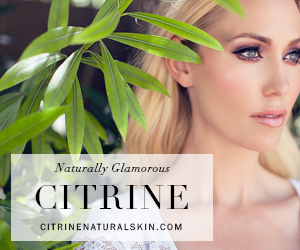 You apply it with your fingers and it melts easily into the skin without too much rubbing. It lasted 24 hours for me without a problem and so far I've had no stains on my shirts. Yay! Clean ingredients, great aroma, and it works. Have you tried any of these? What did you think? What are some of your September Faves?